Technology had taken over almost everything for us now. We people are getting lazier by the day and only technology is to blame. Now we can get everything from the very comforts of our own home. Shopping is now just a click away and everything just comes to us without any hassle. Some people say that technology is nothing unless we can download food. Although that seems almost impossible we have something close to it. Home delivery for food. This is a concept that existed even before the online boom happened. At that time only pizza's were delivered and it was considered a luxury. 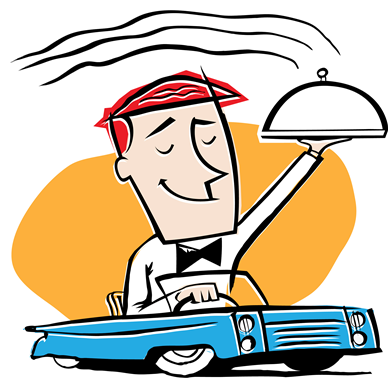 But if you look at it now, food delivery in Bangalore is prevalent everywhere as almost every eatery home delivers their food. Spoiling the already spoilt people. Bangalore is a huge food hub we know. Recently we have seen a new culture of food trucks as well that is doing really well. Yummy, scrumptious food, cooked fresh in a truck and served hot sounds tempting already. Apart from this we have a lot of new services and start-ups that only specialize in food delivery. There are a large number of options to choose from. From breakfast only sites to lunch and dinner options, Bangalore has seen a new trend in all of it. A number of start-ups have made Bangalore their head quarters and are delivering delicious food to every corner of the city. Ordering food online is a simple and hassle free way to eat these days. Food delivery is a huge sector in Bangalore now. Ofcourse it is not as big as the Harvard introspected Dabba waalas of Mumbai, but we are getting close. A number of food apps are available too where you get a lot of discounts as well as coupons for your next order. Bangalore has already opened up arenas to explore different cuisines and since most of the new places are home delivery restaurants in Bangalore, it is a win win situation every time. The food is delicious and is served at your doorstep. What more can one ask for? Bangaloreans love their food, thanks to the diverse cuisines we witness on television and since some of them have been abroad and have tasted other cuisines, they are open to exploring food. Be it any cuisine; Chinese, Korean, Japanese, Asian, Thai, Indian, Italian, Mexican, Middle east etc etc, everything is available within the city limits and almost all these places home deliver too. So the next time, you are craving for some lasagna, you just have to place an order online and in a while you will have it delivered to your doorstep. Life doesn't get much easier and delicious than this!